For the first time ever, NASBP and SFAA will host a joint fly-in on June 5-6, 2019 at the Hyatt Regency on Capitol Hill. Please join us for a two-day event filled with networking and advocacy opportunities and most importantly, to voice your support for the surety bond product, as lawmakers continue to discuss the possibility of enacting a major infrastructure spending bill this year. Your participation as a surety advocate is critically important towards helping policymakers understand the significant role bonds play on federal construction projects. The joint fly-in will include an infrastructure panel discussion where invited congressional hill staffers representing various House Committees such as Transportation & Infrastructure, Ways & Means and Small Business will offer their Committee’s perspective concerning what reforms might be expected in a House infrastructure spending package. The infrastructure round-table will begin the morning of Thursday, June 6 at 8 a.m. on Capitol Hill in 121 Cannon House Office Building. This offers participants an excellent opportunity to learn firsthand what these key congressional committees are working on this Congress. After the panel discussion concludes, the remainder of the day will be devoted to Hill appointments. We are also attempting to secure meetings with select federal agencies such as the General Services Administration (GSA) and the Small Business Administration (SBA). We will keep participants apprised of these efforts. Attendees are invited to an evening cocktail reception beginning at 4:30 p.m. at Bistro Bis (the Hotel George) here they can debrief with their colleagues. NASBP is also excited to announce that due to popular demand, we have secured the services of an outside vendor to schedule hill appointments on behalf of fly-in participants. Thirty-days prior June 6, participants will be asked to complete an online form indicating where they live/work. The vendor will then begin to schedule those hill appointments. NASBP and SFAA look forward to seeing you in DC on June 5-6. Thank you for agreeing to attend the National Association of Surety Bond Producers (NASBP) Legislative Fly-in Day. The purpose of this guide is to help you prepare for your visit to Washington, DC on Wednesday, June 5. The information contained on this page will range from planning your trip to Washington, DC to making your congressional visits once you arrive in our Nation’s Capitol. 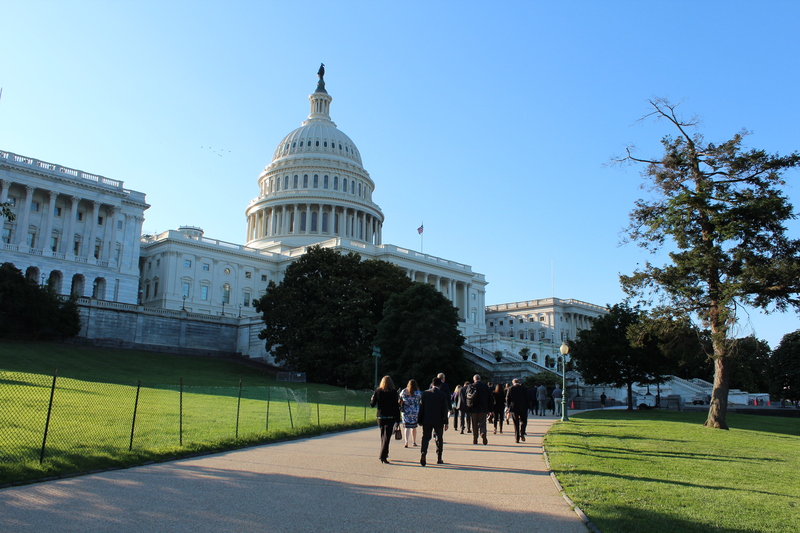 NASBP has undertaken great efforts to increase its visibility on Capitol Hill to advocate its federal government relations agenda and to remind elected officials and their staff about the important role surety bonds play in our Nation’s economy.